A desi Global Positioning System (GPS) service is on the anvil and will be available from the middle of next year, according to a top scientist of the Indian space agency. “We will be able to offer our own indigenous GPS service with the Indian Regional Navigation Satellite System (IRNSS), being developed by Indian Space Research Organisation (ISRO),” said Dr K Sivan, Director of ISRO’s Thiruvananthapuram-based Liquid Propulsion Systems Center. He disclosed this to the media on the sidelines of the 23rs convocation of the Thanthai Periyar Government institute of Technology here on Saturday. 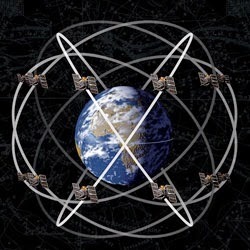 At present, India is making use of satellite services of other countries for the navigation applications using GPS. The IRNSS, developed by ISRO, would soon offer position information to users in India with accuracy for various applications such as mobile phones, terrestrial, aerial and marine navigation, disaster management etc . Out of the seven satellites planned, two have been already launched and the third one would be launched soon. By the middle of next year, the IRNSS would be able to provide GPS services to Indian users, Sivan said. Stating that the launch of GSLV Mark III next month would provide a greater thrust to the country’s deep-space programme, he said “We are pragmatically pushing forward the development of semi-cryogenic technology.” Demonstration of larger launch vehicles that could carry around 4 ton satellites is being planned in the next couple of months. ‘Human in Space’ programme was also gaining momentum and GSLV Mark III would accommodate a special module on experimental basis. He said, the next focus after the Mars mission was towards exploration of the solar system and deep space astronomy. As new applications are being developed, the size of satellites had to be increased and ISRO was planning to develop 10 tons satellites soon.